Once you have instantiated this class, its various methods will allow access to all the features built into the device. Sub-Instance I2C of the Interface library contains methods to access devices connected to the I2C port. Sub-Instance SPI of the Interface library contains methods to access devices connected to the SPI port. try out the wireless modules app by running vLabtool-experiments from the command line. >>> I.NRF.stop_token_manager()  # Registrations closed! >>> print LINK.I2C_scan()                                                 #vLabtool automatically transmits stuff to LINK's address, and retrieves sensor info. Attempts to reconnect to the device in case of a commmunication error or accidental disconnect. 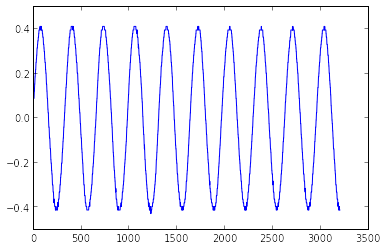 A sine wave captured and plotted. Two sine waves captured and plotted. Four traces captured and plotted. samples Total points to store per channel. Maximum 3200 total. The following example demonstrates how to use this function to record active events. Connect a capacitor and an Inductor in series. >>> I.set_state(OD1=0)  #Turn off OD1. This must occur immediately after the previous line was executed. configure trigger parameters for 10-bit capture commands The capture routines will wait till a rising edge of the input signal crosses the specified level. The trigger will timeout within 8mS, and capture routines will start regardless. The gain value applied to a channel will result in better resolution for small amplitude signals. However, values read using functions like get_average_voltage or capture_traces will not be 2x, or 4x times the input signal. These are calibrated to return accurate values of the original input signal. sleep read voltage in CPU sleep mode. not particularly useful. Also, Buggy. retrieves the frequency of the signal connected to ID1. >10MHz also good for lower frequencies, but avoid using it since the ADC cannot be used simultaneously. It shares a TIMER with the ADC. The input frequency is fed to a 32 bit counter for a period of 100mS. The value of the counter at the end of 100mS is used to calculate the frequency. For example, one can measure the time interval between the occurence of a rising edge on ID1, and a falling edge on ID3. If the returned time is negative, it simply means that the event corresponding to channel2 occurred first. The input pin to measure pulse width from. Use the timeout option if you’re unsure of the input signal time period. waiting_time Total time to allow the logic analyzer to collect data. This is implemented using a simple sleep routine, so if large delays will be involved, refer to start_one_channel_LA to start the acquisition, and fetch_LA_channels to retrieve data from the hardware after adequate time. The retrieved data is stored in the array self.dchans.timestamps. Divide each timestamp by 64e6 to convert to seconds. modes for each channel. Array . Four channel Logic Analyzer. start logging timestamps from a 64MHz counter to record level changes on ID1,ID2,ID3,ID4. maximum_time Maximum delay expected between two logic level changes. If total time exceeds 1 mS, a prescaler will be used in the reference clock However, this only refers to the maximum time between two successive level changes. If a delay larger than .26 S occurs, it will be truncated by modulo .26 S. If you need to record large intervals, try single channel/ two channel modes which use 32 bit counters capable of time interval up to 67 seconds. reads and stores the channels in self.dchans. is subtracted from the rest of the channels. set the logic level on digital outputs OD1,OD2,SQR1,SQR2 For newer units, OD1,OD2 have been renamed to SQR3,SQR4. Both mnemonics will work. sets OD1,SQR1 HIGH, OD2 LOw, but leave SQR2 untouched. Charges a capacitor connected to IN1 via a 20K resistor from a 3.3V source for a fixed interval Returns the capacitance calculated using the formula Vc = Vs(1-exp(-t/RC)) This function allows an estimation of the parameters to be used with the get_capacitance function. Charge_Time (int) – total time in microseconds that the current range will be activated before measuring the voltage across it. location The flash location(0 to 63) to read from . page Block number. 0-20. each block is 2kB. DO NOT USE THIS UNLESS YOU’RE ABSOLUTELY SURE KNOW THIS! YOU MAY END UP OVERWRITING THE CALIBRATION DATA, AND WILL HAVE TO GO THROUGH THE TROUBLE OF GETTING IT FROM THE MANUFACTURER AND REFLASHING IT. location The flash location(0 to 63) to write to. location Block number. 0-20. each block is 2kB. get_ctmu_voltage(5,2) will activate a constant current source of 5.5uA on IN1 and then measure the voltage at the output. If a diode is used to connect IN1 to ground, the forward voltage drop of the diode will be returned. e.g. .6V for a 4148diode. DEPRECATED. PIC1572 waveform generators have been replaced with AD9833 based 28 bit wavegens. val Output current on PCS. 0 to 3.3mA. Subject to load resistance. Read voltage on PCS to check. Instruct the ADC to start streaming 8-bit data. use stop_streaming to stop. 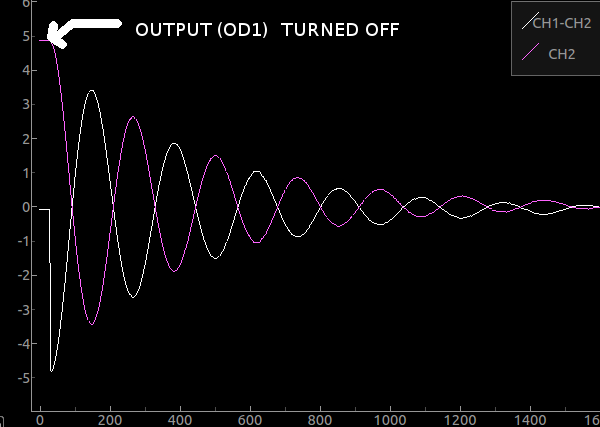 Output one set of phase correlated square pulses on SQR1,SQR2,OD1,OD2 . UNSUPPORTED IN FIRMWARE. DO NOT USE Use Comparator on CH4 to triggger output pulses after precise intervals. if you change the reference clock for ‘wavegen’ , the waveform generator resolution and range will also change. default frequency for ‘wavegen’ is 16MHz. Setting to 1MHz will give you 16 times better resolution, but a usable range of 0Hz to about 100KHz instead of the original 2MHz. 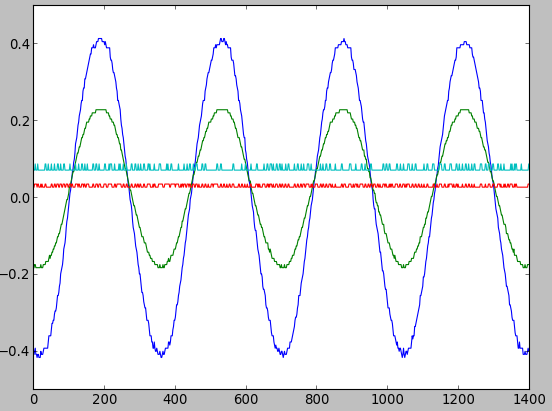 Output A PWM waveform on SQR1/SQR2 corresponding to the angle specified in the arguments. This is used to operate servo motors. Tested with 9G SG-90 Servo motor. angle 0-180. 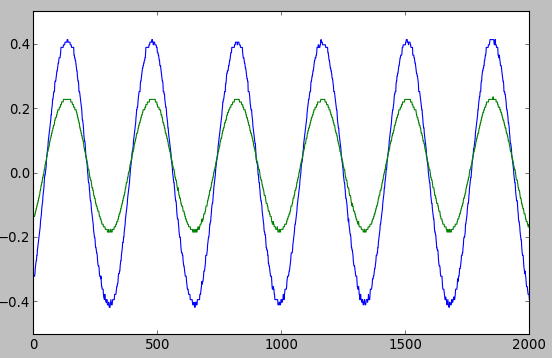 Angle corresponding to which the PWM waveform is generated. Operate Four servo motors independently using SQR1, SQR2, SQR3, SQR4. tested with SG-90 9G servos. persist If set to True, the device will stay in passthrough mode until the next power cycle. Otherwise(default scenario), the device will return to normal operation if no data is sent/ received for a period greater than one second at a time. Read data from ultrasonic distance sensor HC-SR04/HC-SR05. Sensors must have separate trigger and output pins. First a 10uS pulse is output on SQR3. SQR3 must be connected to the TRIG pin on the sensor prior to use. Upon receiving this pulse, the sensor emits a sequence of sound pulses, and the logic level of its output pin(which we will monitor via ID1) is also set high. The logic level goes LOW when the sound packet returns to the sensor, or when a timeout occurs. The ultrasound sensor outputs a series of 8 sound pulses at 40KHz which corresponds to a time period of 25uS per pulse. These pulses reflect off of the nearest object in front of the sensor, and return to it. The time between sending and receiving of the pulse packet is used to estimate the distance. If the reflecting object is either too far away or absorbs sound, less than 8 pulses may be received, and this can cause a measurement error of 25uS which corresponds to 8mm. © Copyright 2015, Jithin B.. Created using Sphinx 1.1.3.